I know sweats are supposed to be fashionable these days, but for the most part, I think I will relinquish that trend for home and gym use. I did, however, find these sweet little sweatshorts with black faceted buttons on the side (which I forgot to photograph) and a swallow print that's visible when cuffed. Surprisingly, this outfit was hubby-approved so I sauntered out the door in my embellished sweatwear only to be later reprimanded by my mother for not wearing something "nicer". Oh, if only she knew how fashion forward this look was. One thing's for sure, I could easily mistake this outfit for my pj's in which case I think I'll try to sneak into bed in this very same outfit and see if the hubs notices. 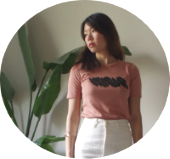 After writing this post, I received an update from Madewell on a lovely pair of sweatpants. From afar, I didn't even realize they were sweat material until I read the title. These could easily blend in with a nice tailored shirt and blazer or even a blousey cropped top me thinks. I'm kinda achin' over that striped pattern and those zipper details. Sigh. I adore your outfit! I agree with your mum comment. My own mother tells me the same thing when I wear a tank top. cool outfit! thanks so much for your comment! love the print on the shorts! 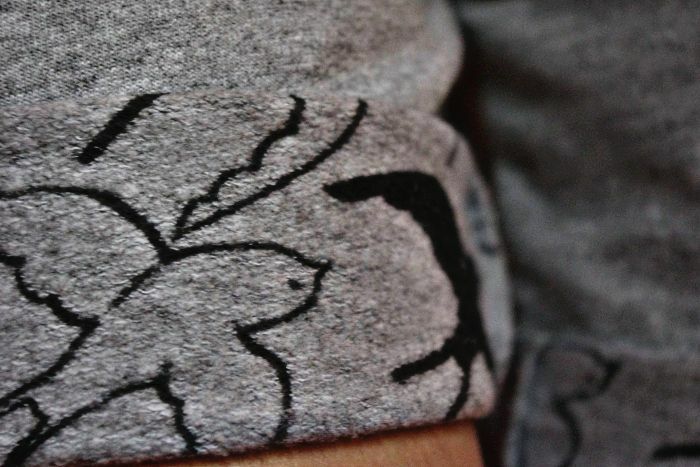 The prints on those sweatshorts are perfecto! It immediately glams up the whole outfit. Love! The necklace is so cool! I love McDonalds! Their McFries are heaven. Even If I' not a big fan of McDonald's, I love this tiny necklace! I love those shorts!!!!! Awesome! Also that bracelet is amazing!!!! Come check out my blog, my sister and I played dress up! great post! i love it. the necklace is a great find! I love your style! This outfit is so casual cool and your necklace and conversation with your mother makes me laugh. I love that necklace, so cute! that looks awesome and its actually nice already! haha! me too! I wear t-shirt and shorts and I can just go to bed with it too! love the shorts and the necklace! 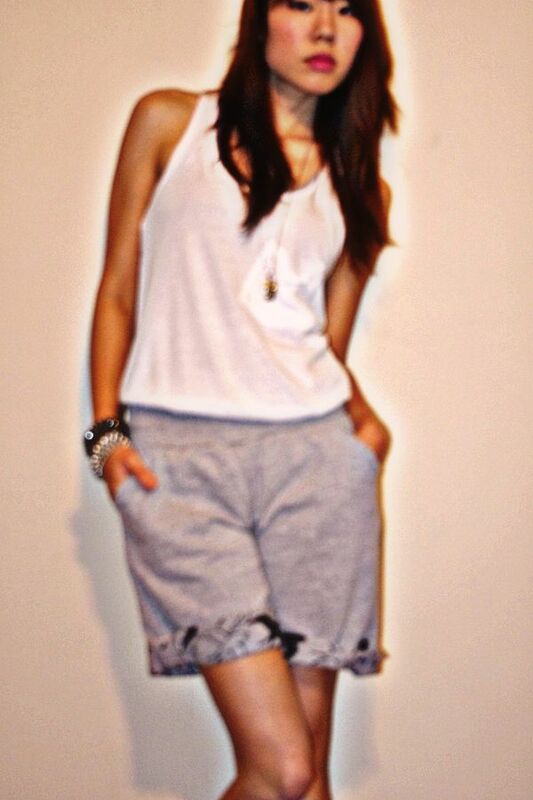 You look really comfy, yet stylish, love this look! Thanks for the comment btw i like ur simple outfit look! haha i like how u can see the birds when u cuff the shorts! Oh! That is such an easy breezy outfit. Love the sweat-shorts! Fabulous! 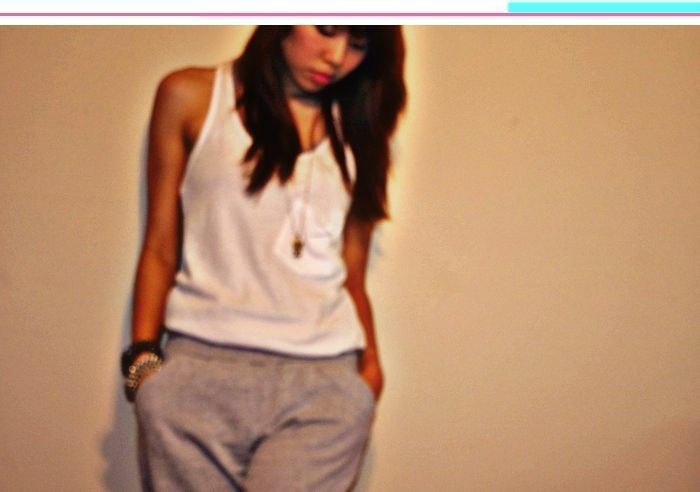 Ya, I haven't gotten on board with sweats as real clothes either. But, these are totally cute! I love the bird detail on the bottom. Also, be sure to check out my blog for a chance to win a pair of earrings! Hope to see you over there. I'm a new follower. Return the favor? Well hello, gorgeous! What a fun outfit and great shots. Thanks for stopping by G&G so I could see what you're up to over here. Your sweat shorts is the cutest!! You look so great here loving those shorts! 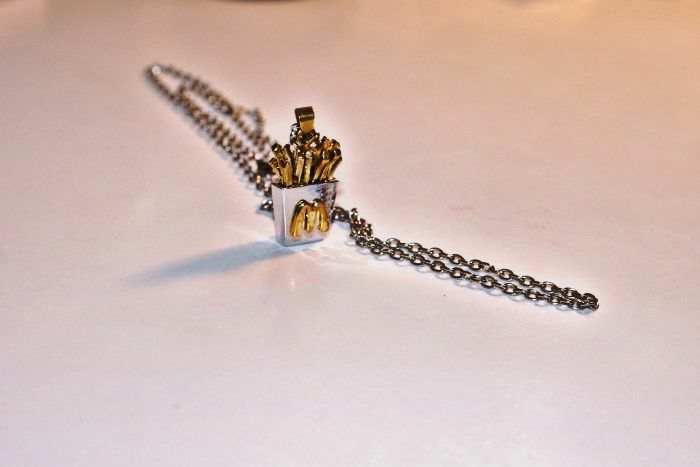 I Absulutely Lovee Your Trousers, Your Necklace Quite Describes my Chip Dreams. like your style, it's unsophisticated but yet very cool. wow love everything about this outfit! !